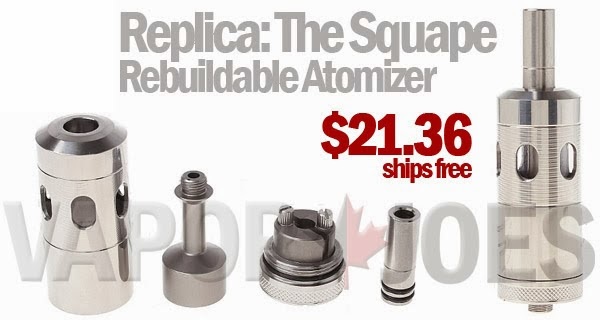 This replica atomizer is inspired by the design of the Squape. It’s unique among the gravity-fed atties in that you can rebuild it without having to drain the tank! That’s important because the tank holds a whopping 5.2 mls of juice! Enough to keep you vaping a long time. The original is touted to be an easy build and thoroughly enjoyable vape, and we’re hearing this replica is no exception. 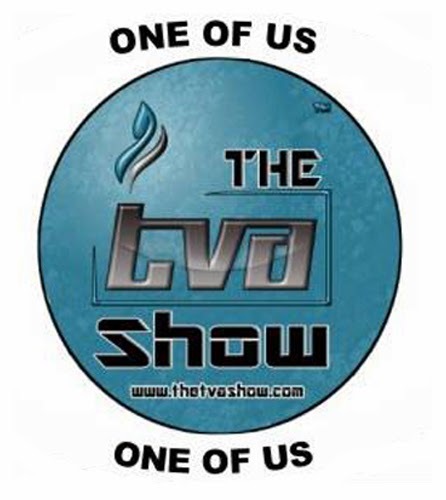 Mooch and Freeze from the TVA hit me up to do an Interview on their show. 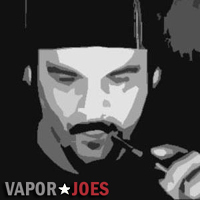 We talked all things vaping, vaporjoes, life, and love! This interview was broken up into two parts. The first part has just been posted and the second part will be posted in a few weeks. Check it out. Its a fun time. 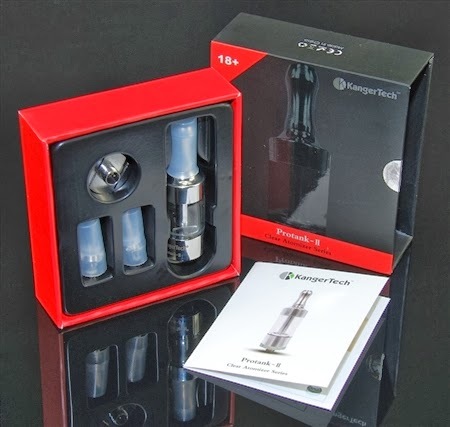 Exhalevapors is running a deal on Kanger Pro Tank 2’s. Still in high demand these BBC glassomizers are being offered at a great price. The free shipping from the USA is just the icing on the cake! This is the LOWEST price I can find. They are sold out everywhere or vendors are charging close to 40 bucks + shipping. Remember this deal is free shipping. Here is a thing of beauty. 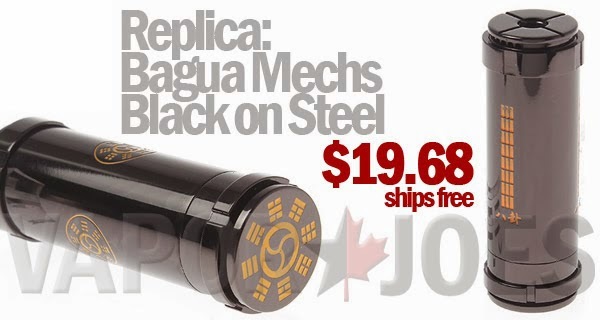 Here is a great deal on the very stealthy 18350 version of the Bagua Mechanical. I absolutely love this mod in this color. Constructed of stainless steel, with a shiny black painted finish, these attractive Bagua replica mechanical mods house an 18350 battery, have a bottom button with locking ring, an adjustable firing pin and top cap with air channels and an airflow control ring. Most Angry Pirate is one of the pioneers of the ecig industry. 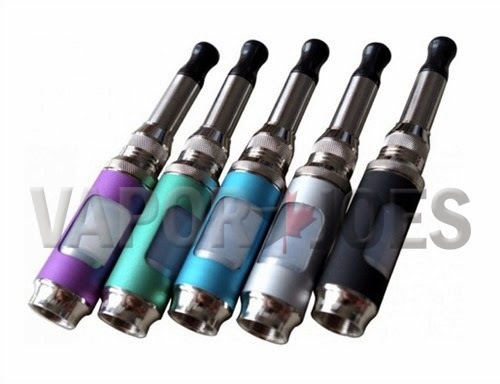 Most known for his invention of the cartomizer tank – he changed the way we vape. He paved the way for rebuildables and plays a part in many radical mod designs. I’m VERY excited to announce he has started his own line of juice with recipes he has been working on for years. In small circles these recipes were sought after and coveted. Now finally releasing them to the public to enjoy — these juices are already making HUGE waves. To sweeten this deal and spread the word – our readers will get 25% off their order. A small number of flavors to concentrate on quality rather than quantity. Full Hallow: A refreshing citrus / Fresca type flavor. Katana: A Hibiscus Tea / fruit blend that is sweet and mellow. Bolo: A rich, creamy, almond biscotti cookie. Forged is a 70VG/30PG line of E-Liquid, handcrafted in the United States by the Most Angry Pirate. Offering some unique flavors and premium packaging, every bottle of Forged E-Liquid is shipped in glass bottles with dropper tops and tamper evident seals. With Forged heavy VG ratio it is ideal for RDA/RBA and genesis alike, but also functions well standard cartomozer and all clearomizers as well. There will be five flavors in this line 3 are available as of now so stay tuned for the next two in the near future forged the liquid is offered in 0 mg, 3 mg, 6 mg, and 12 mg to cater to the high heat of some of the lower resistance builds, plus with filtered flavoring leaves your coils burning clean and not sacrificing flavor in the least. The power rating you need and the mAh rating you want! Finally! Batteries are moving again, and now that these particular ones are available, they’ll be moving FAST! Sony US18650VTC4 18650s have the best of both worlds. Rated at 30Amps continuous, these still boast 2100mAh so you won’t need to swap out as fast as with some other 30Amp cells. 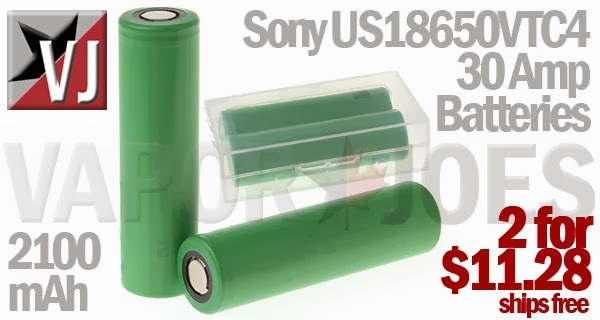 At just $5.64 per battery, get ’em while you can! BACK IN STOCK AS OF 2/15 – THESE SELL OUT QUICK! 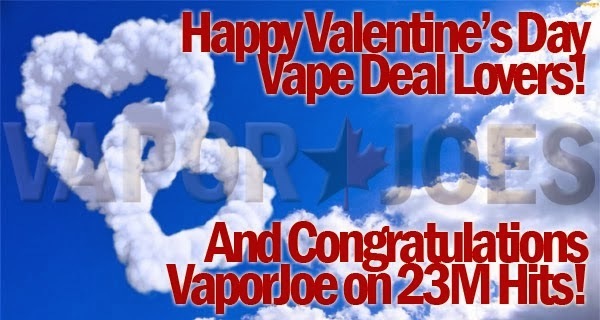 The whole Vaporjoes Network would like to wish all our readers and vendors a Happy Valentine’s day! Additionally, we have also ticked off another 1,000,000 hits. This means we will be taking the next 24 hours off! Our deals will continue tomorrow at noon EST. Join over 15,000 vapers on our email list! Perfection Vapes is running a one day only 50% off sale on all their juice. I have been a long time vaper and fan of this juice company. They are a sponsor on Mod Envy and I have had the privilege of trying a ton of different flavors. Here is a true blowout deal on the Poldiac replica. These have been surprisingly well received and are a great replica of the original. This model comes in a brushed stainless steel finish with the classic magnetic side button and adjustable contact pins. At this price – a bargain by anyone’s standards. I keep the real Poldiac at home and bring these with me when I go out. A nice backup. Is there a place for high end in a deals and steals blog? I think so. 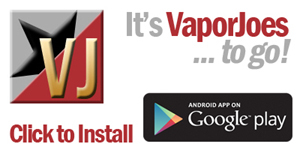 There are people that only vape legit products, so why not offer it to them at a great price? I haven’t forgotten about you guys – its just rare to find a really good deal. So here’s one for the legit community. 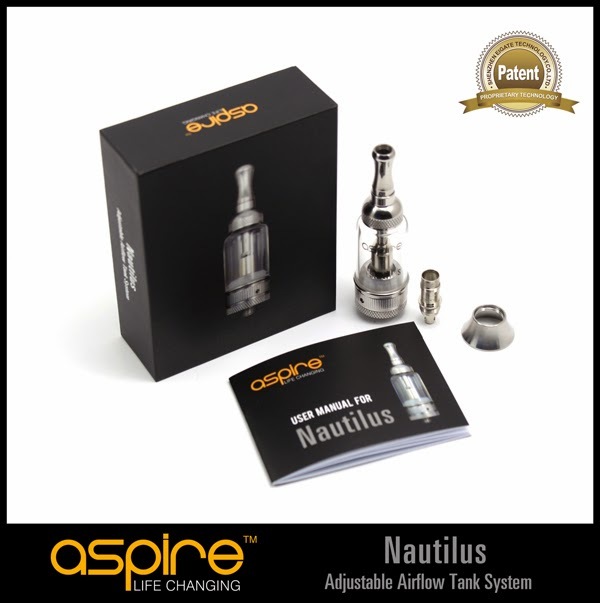 Far, far beneath the Abysmal Sea comes the Kraken, Vicious Ant’s new genesis style rebuildable atomizer. The combination of gorgeous design and build with features to rival the best atomizers on the planet, the Kraken is quickly becoming the most sought after RBA to date.